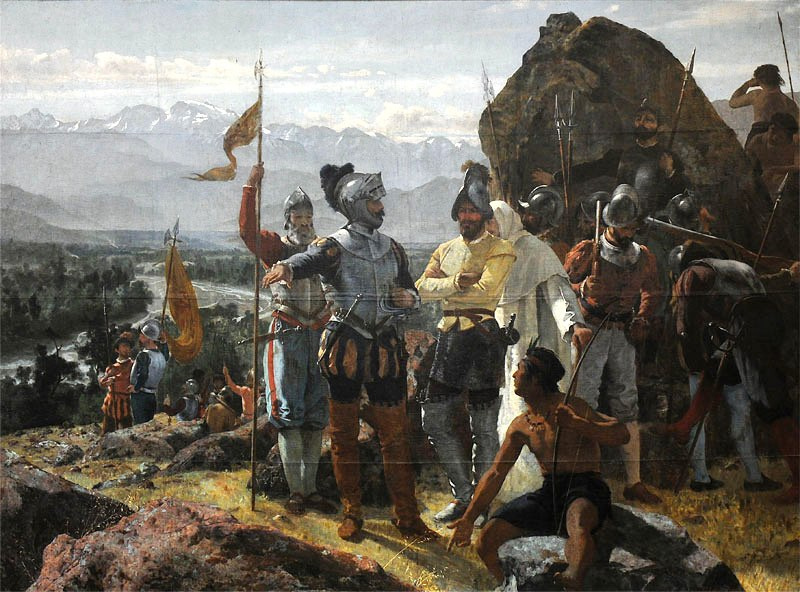 Spanish conquistadors - 1541 founding of Santiago de Chile (painted in 1887); public domain image on Wikipedia. Baja California (lower California, which is now in Mexico) was first visited by the Spanish in 1533. 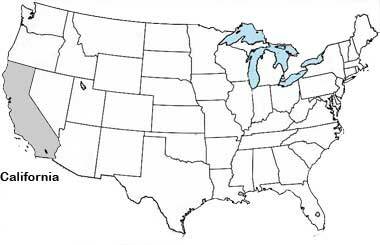 What is now the state of California was called Alta California (upper California). California USA (public domain image). Add Media for Origin of "California"